Riding on a bus should seem like a relatively safe way to get from one place to another, but that isn’t always the case. There have been two recent attacks on Palm Tran that have bus drivers worried, but those riding the bus may not feel safe either. In July, a Palm Tran bus driver was struck by a passenger with a radio receiver, and in May, a Palm Tran driver lost his job after he beat a passenger unconscious. Surveillance videos from the incident show that the passenger had been repeatedly and loudly taunting the bus driver. The passenger was white, and the bus driver was black. The taunting included offensive, racial language that went on for 15 minutes. After repeatedly asking the passenger to stop, the bus driver finally pulled the bus to a stop and then repeatedly struck the passenger. The passenger appeared to be intoxicated, and the driver hit him so hard he became unconscious and landed on the floor where he stayed unconscious for several minutes. While this incident may appear to have been justified by the taunting of the passenger, all passengers depending on a bus for transportation have the right to a safe ride. While most personal injuries that occur on a bus won’t be from a confrontation with the driver, there can be accidents that put a passenger at risk. After bus accidents occur, the police department, bus company, and the insurance company will most likely conduct an investigation into the accident. They will then determine what fault factors were involved, as well as the liabilities of the parties. Common causes of bus accidents include drivers being fatigued or under the influence of alcohol or drugs, drivers without adequate training, overloading of buses, and buses that are in poor condition due to lack of proper maintenance. The liability of the bus driver and bus company will depend partially on the above factors, as will the compensation of anyone injured in the accident. 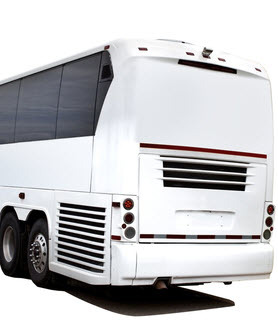 The risk of being involved in a bus accident is much lower than for cars and motorcycles, but there are features in buses that increase the likelihood that you will be injured if you are in such an accident. Buses are more likely than many other types of vehicles to roll over or tip over compared with other modes of transportation. They also aren’t equipped with safety features such as airbags and seatbelts. In the event of a crash, the risk of injuries is increased due to this lack of features. This will be taken into consideration when determining compensation for any claims. The process for filing a personal injury claim after a bus accident can be complex and confusing, not to mention time consuming. The documentation for such claims requires specialized skills and knowledge and is best left to an experienced personal injury attorney. The attorneys at Leifer Law Firm have experience handling a variety of personal injury claims and during a consultation can review your situation and determine what your options are. Contact us today to schedule a consultation at one of our conveniently located Florida offices.